What better piece to help you get your head around the end of the short winter into the loooong summer transition. 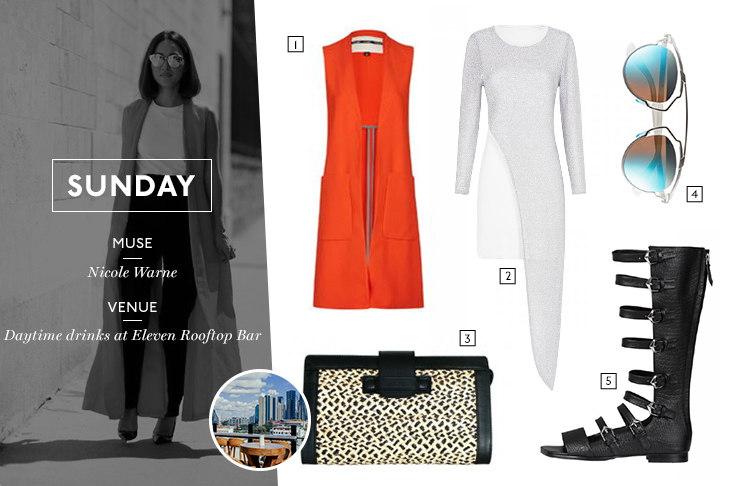 A sleeveless jacket retains a crisp, tailored style, minus the swelter factor, so it's the ultimate win-win! 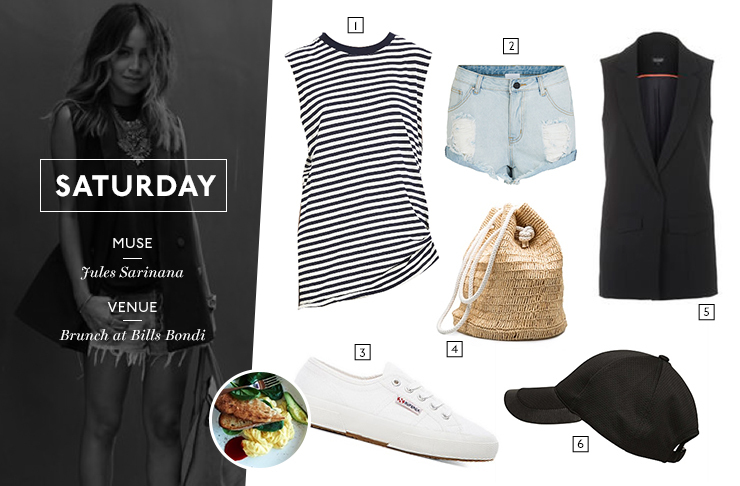 Here’s our 7 day/7 way take on the trend that’ll be sure to take you to all the coolest venues right now. Wow your client and your colleagues in this babin' #girlboss get-up. But then, maybe put business to the side for a minute to savour the divine flavours at Auction Rooms? Goodbye work and hello delicious Italiano Tapas! This cool combo is sure to match the super cool crowd at Heart Attack and Vine and your crew, of course. 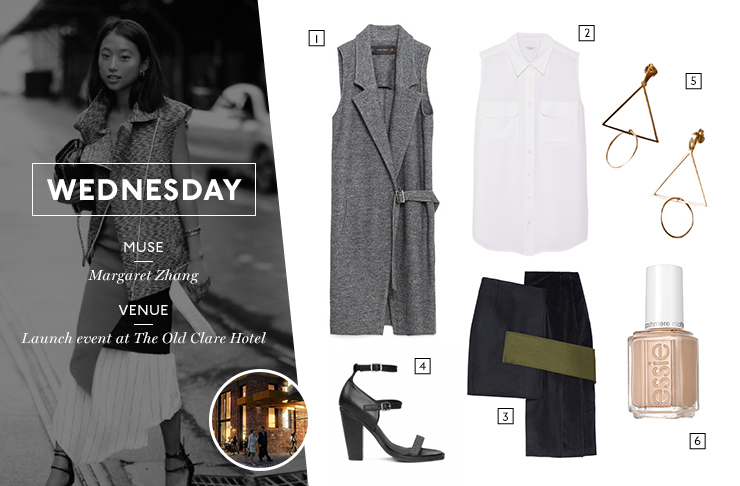 The farshun set at the hottest new venue, The Old Clare Hotel in Sydney town will be nodding approvingly when you rock in in this uber modern look. 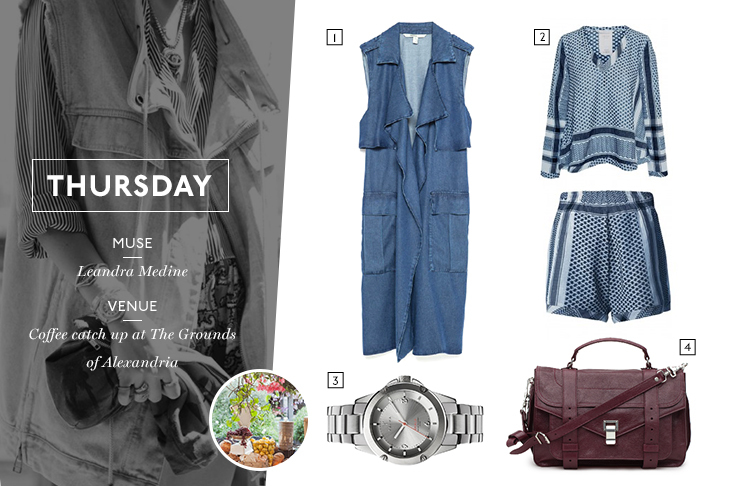 Chill your look down by opting for this denim sleeveless trench and the casual cool Cecilie Copenhagen matching set. It’ll put you in just the right mood for a relaxing coffee catch up at The Grounds of Alexandria. Let your inner boho babe shine over some beats and beers with the new beau. 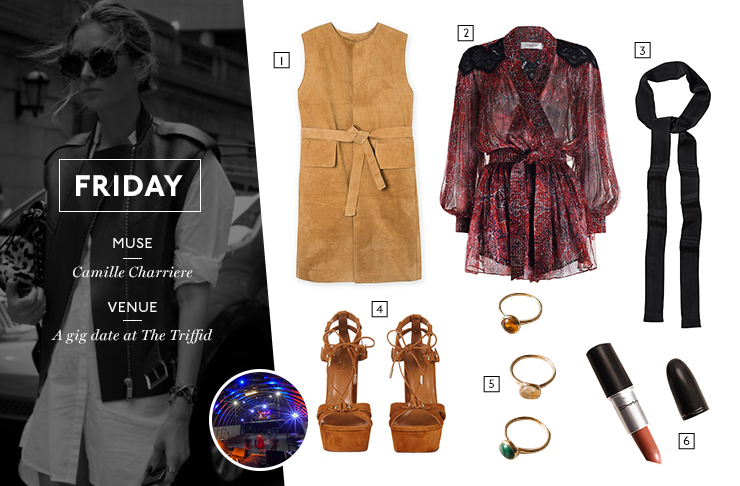 Paisley, earthy tones and suede have all the right elements for Friday night at The Triffid. A sports-luxe Saturday morning attire show you’re not the type to try too hard for a beachside brunch at bills Bondi. Sunday daytime drinks at Eleven Rooftop Bar calls for some brights. Now just to grab some equally colourful cocktails to match!